Sat Priya School of Architecture and Design (SPSAD) aims to enrich your social and learning opportunities with events and opportunities both on and off campus. There are leadership groups, sport or sporting clubs, volunteer opportunities and competitions to suit everyone. To find out about exciting SPSAD activities and events, keep an eye on student notice boards both online and around campus. 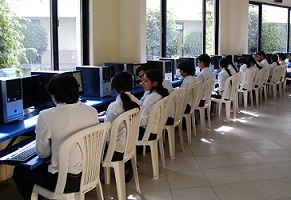 SPSAD offers a variety of clubs such as Music Club in which a student can enroll himself and posses an additional taken by learning to play different instruments of his interest. Similarly we offer Drama Club in which the students interested in Theatre can enroll and start taking Drama lessons and occasionally they get the chance to show their talent in front of people in different functions organized by the Institute, Trust and University like Youth Festivals, Techno Festivals etc. It gives the student an extra edge to meet people who are enrolled in different subjects, live near your campus or who have similar interests. Various competitions and surveys help promote students and their work, allow you to voice your opinion and win prizes. Involvement in leadership groups or activities will earn you a certificate of participation. You also have the chance to earn a commendation line on your academic transcript.